Dall' Aglio | Mantua School | Fine Italian Violins at Auction | Skinner Inc.
Little is known about him, but nearby Cremonese makers such as Lorenzo Storioni, Nicola Bergonzi and G.B. Ceruti likely influenced his work. These Cremonese luthiers, in turn, worked in the creative slipstream of Guarneri del Gesu and Bergonzi, the last great makers of the classical period. In the early 19th century, Lombardy was going through uncertain political times including a weakening economy. In this context, these later makers turned their talents and instincts to a new style of violin making. They began using simpler materials and developed a more efficient working time. Dall’ Aglio instruments share some of the characteristics of 19th century Italian violin making, including the use of locally sourced oppio, or field maple, instead of the expensive acer pseudoplatinus, or sycamore maple, which had to be imported from the Balkan Peninsula. 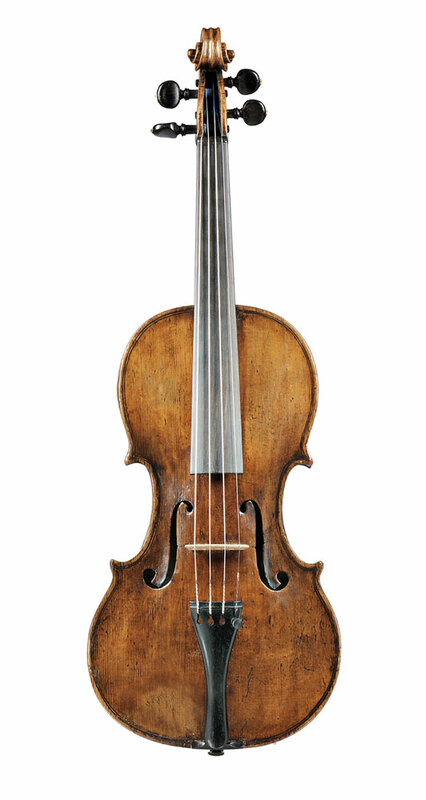 The April 2013 Fine Musical Instruments auction features an unusual pairing of two instruments by Dall’ Aglio. The excellent violinist and teacher Steven Staryk selected this violin for one of his pupils in the late 1960s. 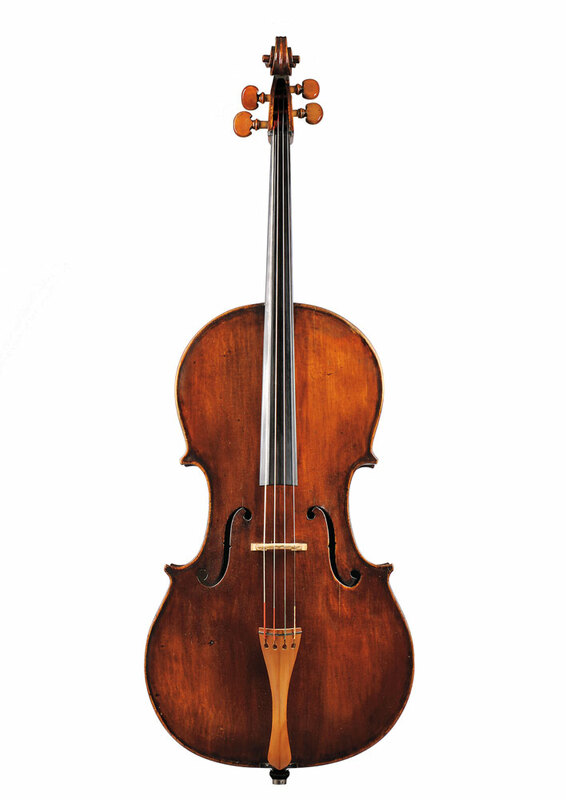 Its design, like the violins of Lorenzo Storioni of Cremona, borrows heavily from late examples of Guarneri del Gesu, exhibiting features distinctive of del Gesu’s pattern: long, shallow C-bouts, and long, narrow ffs. Interestingly, the asymmetry of the upper bouts mirrors another Dall’ Aglio of the exact same size that was sold at auction in 2002. However, the pattern is reversed, perhaps because the maker’s inner mould was flipped over! Renowned expert Dario D’Attili noted that the instruments of Dall’ Aglio have the narrowest point of the body high in the upper curves of the C-bout, and that the lower corners are abruptly turned outwards. This second characteristic is most evident in the violoncello. Its top and back arches are quite flat and full, and it is covered with a rich, pasty, red-brown varnish. Dall’ Aglio cellos are quite rare and sought-after, and are generally regarded as being of excellent quality. While Dall’ Aglio’s work can be rugged and not highly refined, it conveys the spontaneous character of late 18th and early 19th Century Italian work: possessing a rough charm and excellent tonal characteristics. This entry was posted in Blog and tagged Bergonzi, Cremonese luthiers, Dall' Aglio, David Bonsey, Fine Musical Instruments, fine violins, GB Ceruti, Giuseppe dall’ Aglio, Guarneri del Gesu, History of Art & Antiques, Italian cello, Italian violin, Italian violins, Lorenzo Storioni, Mantua School, Nicola Bergonzi, violin making by David Bonsey. Bookmark the permalink. ← Where Have All the Young Dealers Gone?